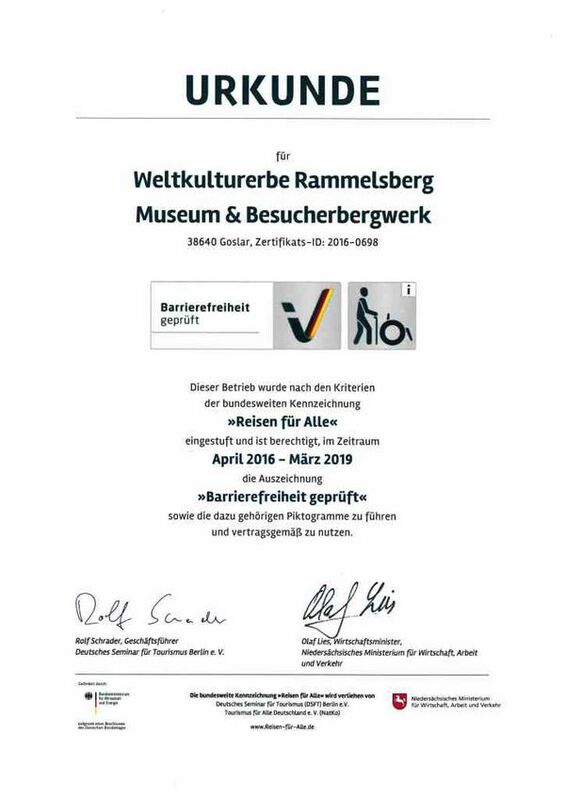 The Rammelsberg mine has been tested and certified as a barrier free location for people with impaired walking. The museum and visitors mine are located within the facilities of a former mine, a fact that implies difficulties for people with disabilities to access it. Still, approx. 70% of the areas that are open to visitors have been made accessible with a wheelchair or even barrier free. three handicapped parking spaces, located close to the barrier- free entrance, can be used at no charge. The gate at the entrance is equipped with an intercom, connecting the visitor with the cashier's desk. a ride on the inclined elevator is possible for visitors using a wheelchair (walker, stroller). The guided tour „mine train“ is suitable for people using a wheelchair or a walker (with an accompanying person). 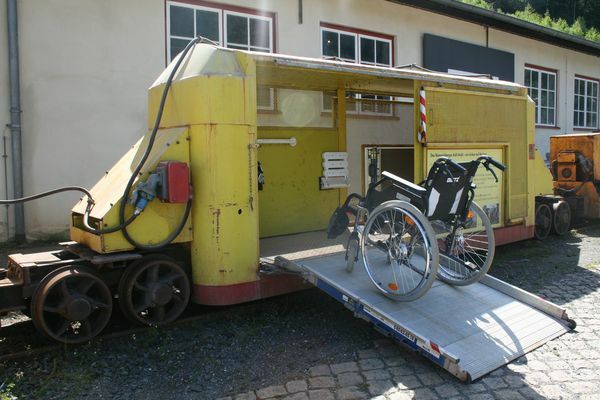 A former mine car has been remodeled to suit the needs of two wheelchairs and one accompanying person. The area within the mountain, where the tour is leading to, is also wheelchair accessible.